Maine Gov. Paul LePage said he’ll attend Donald Trump’s campaign rally in Bangor, Maine on Wednesday, the Portland Press Herald reports. “I can’t wait to come up and help cheer him on in any way I can,” LePage told WVOM talk radio host Ric Tyler, according to the Press Herald. 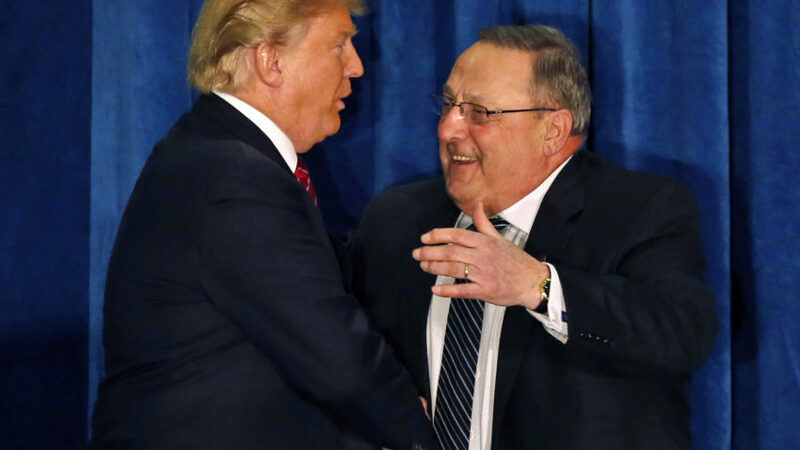 LePage, the outspoken and oft-controversial governor, has endorsed Trump and appeared at Trump’s rally in Portland back in March. He said he expects a large crowd to hear the businessman’s speech in Bangor, which is Maine’s third-largest city. Trump’s appearance is part of a bid to flip Maine to Republicans, even though the state last voted for a Republican presidential candidate in 1988. A poll from the Press Herald last week showed Hillary Clinton leading Trump 42 to 35 percent. 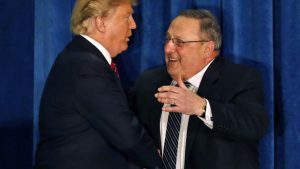 Last month, LePage said that he’d be open to joining Trump’s administration—if he was ambassador to Canada in the summer and Jamaica in the winter. He was also asked whether he might be selected as Trump’s vice president. “We’re too much alike,” he said, laughing.